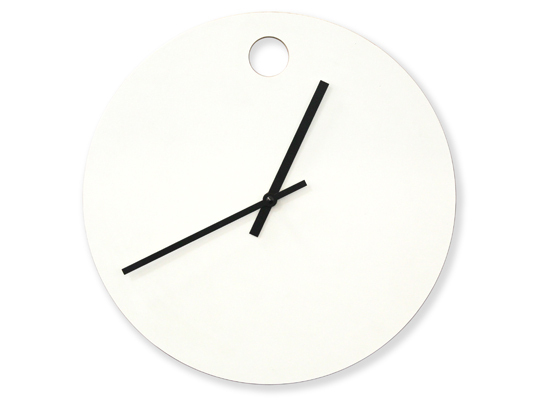 A simple circular white clock with cutout detail to mark 12 o'clock. Flat white, melamine faced birch plywood with contrasting black hour/minute hands. German quartz movement, takes 1 x AA battery (supplied).